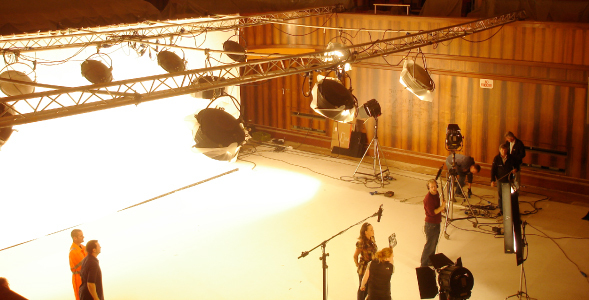 Film City Glasgow is based at the heart of Glasgow’s film and television industry within Govan Town Hall, which has undergone a three-phase £3.5 million redevelopment. The facility comprises over 12,000 sq. ft. of production office space, a 5,000 sq. ft. studio/build space, workshop areas, rehearsal/meeting rooms, café, and 10,000 sq. ft. of creative business offices, now home to over 25 permanent tenants from the screen and wider creative industries. A great production base for feature film work in Scotland, Film City Glasgow has hosted Sigma Films (Red Road, Perfect Sense and Citadel), Filth Productions (Filth), Seventh Kingdom Productions (Under The Skin), GHTG Films (God Help The Girl), Black Camel Productions (Sunshine On Leith and Legacy), and Peter Mullan’s ‘Neds’. TV production work has included ITV Studios ‘Shetland’, IWC Media for Channel 4 ‘School Of Silence’ and ‘Iron Chef’, Red Productions ‘Single Father’, Silver Rivers ‘One Night in Emergency’, and the BBC with prime time comedies ‘Mrs Brown’s Boys’, ‘Old Guys’, and ‘Life of Riley’. The inspiration behind Film City Glasgow came from Gillian Berrie, co-founder of Sigma Films, who instigated the concept. Gillian has been involved with a number of productions over the years including; Ken Loach’s ‘My Name Is Joe’, Peter Mullan's ‘Orphans’; Lynne Ramsay's ‘Ratcatcher’; Andrea Arnold’s ‘Red Road’, and David Mackenzie's ‘Last Great Wilderness’. Sigma Films has also Co-Produced notable projects such as Lars von Trier's ‘Dogville’, Susanne Bier’s ‘Brothers’ and Jonathan Glazers ‘Under the Skin’. Gillian said, “Film City Glasgow was inspired by a trip to Zentropa's 'filmbyen' (film city in Danish) in 2000, a film studio complex located in Hvidovre just outside Copenhagen, Denmark. At that time Glasgow desperately needed a production base for both indigenous and visiting productions, the mostly derelict buildings that we'd traditionally used were being demolished and it was getting harder to find suitable places to base productions. 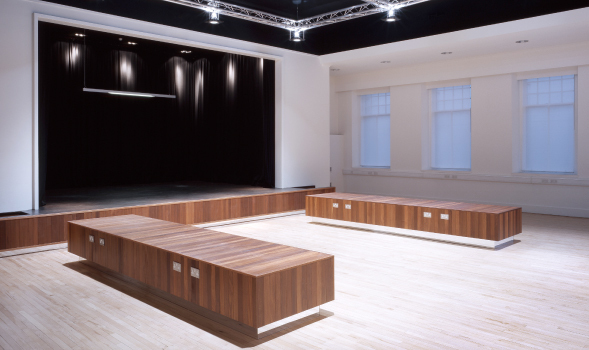 They offer Productions Offices, Rehearsal Spaces and Build Space. For full details about Film City Glasgow, visit: filmcityglasgow.com.